Free for personal use. Please pay for commercial use. 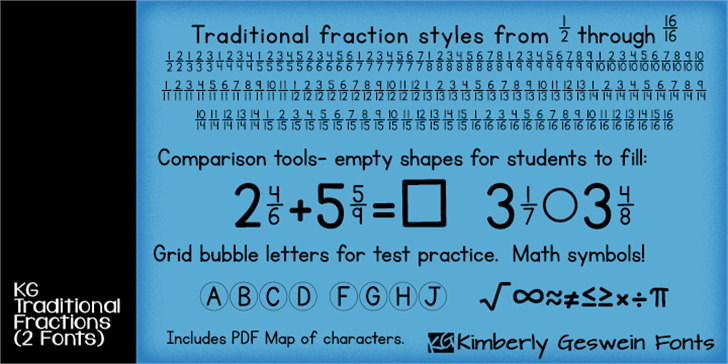 See included PDF map to make using the font easier! I like this font. It would be handy if you could add 1/1 to it. 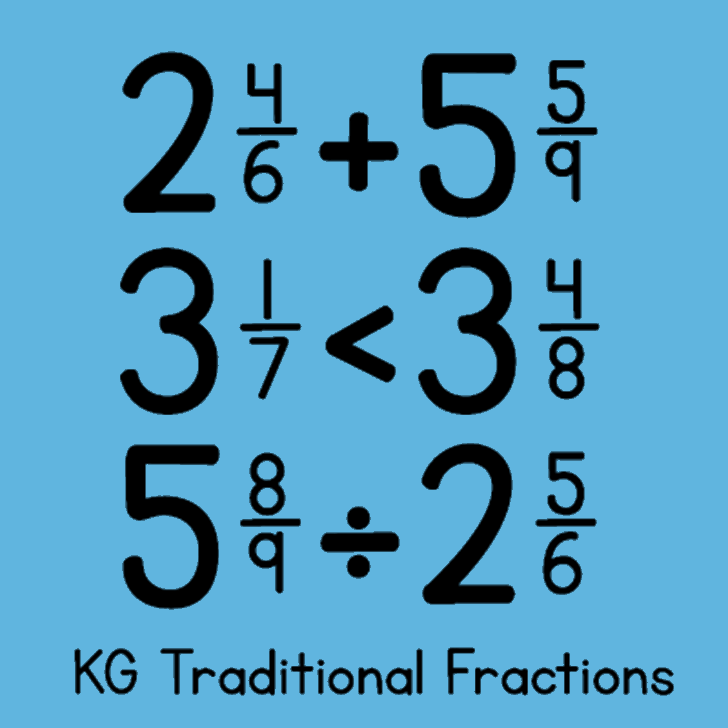 KG Traditional Fractions is a trademark of Kimberly Geswein.